When travelling to a new luxurious destination, few of us would shy away from a unique and tailor-maid experience when given the opportunity. However when luxury comes at the price of the local community, culture and resources, we may have a hard time relaxing on our holiday. 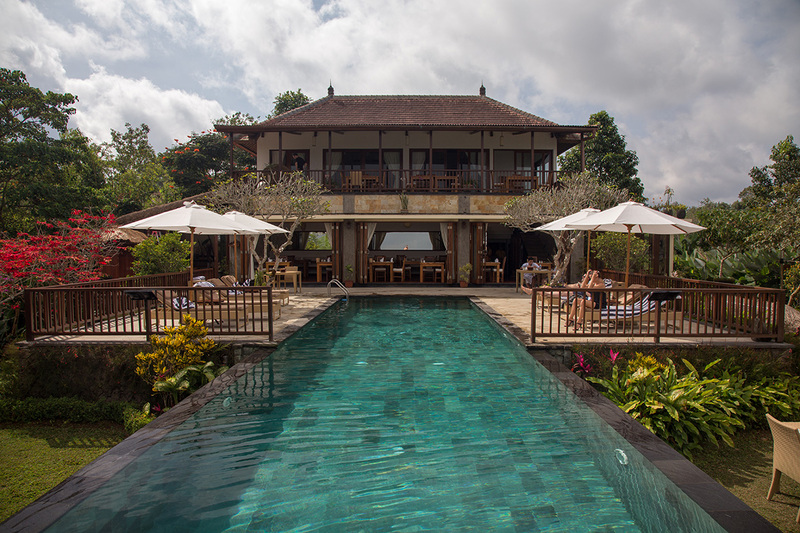 It is for this reason that during this trip to Bali (Indonesia), Glass sought to discover another side of luxury and exploration – one which looked for as much local luxury as possible but at as little cost to the environment – a phenomenon often referred to as “sustainable tourism”. 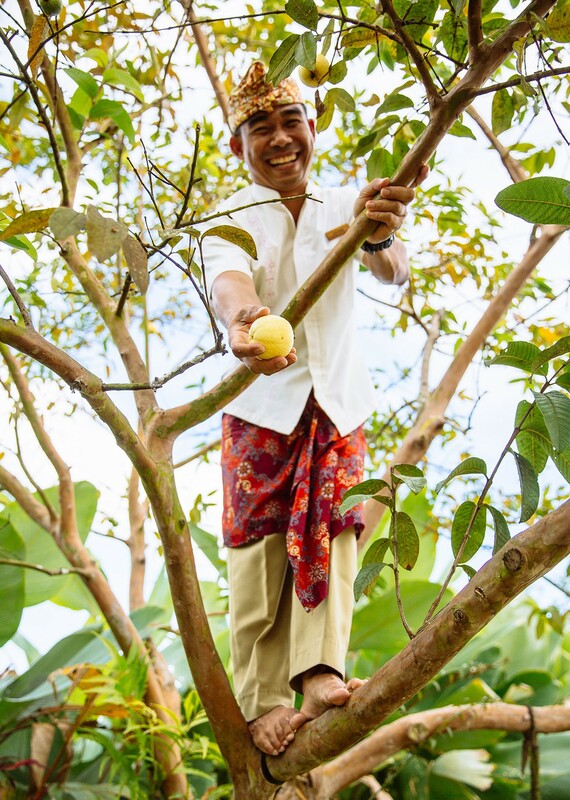 What we found, opened our eyes to a new side of Bali, and a new appreciation for effort, fine details and local communities. After spending a few beach days waking in time for a sunrise surf, Glass headed to the mountains of Ubud for some more local Balinese cuisine and countryside exploration. Here Glass was intrigued enough to join an organised group hike up Mount Batur in time for sunrise, a popular activity and one which is equally physically challenging as breathtakingly beautiful, for how often does one stop to watch the sun rise? Glass had been recommended to travel north to the Munduk Moding Plantation (MMP) – a newly created Eco Lodge whose main philosophy was that of sustainable tourism and a mission to offer a luxury experience with zero-carbon emissions with the primary objective of bringing guests closer to nature and the local community. 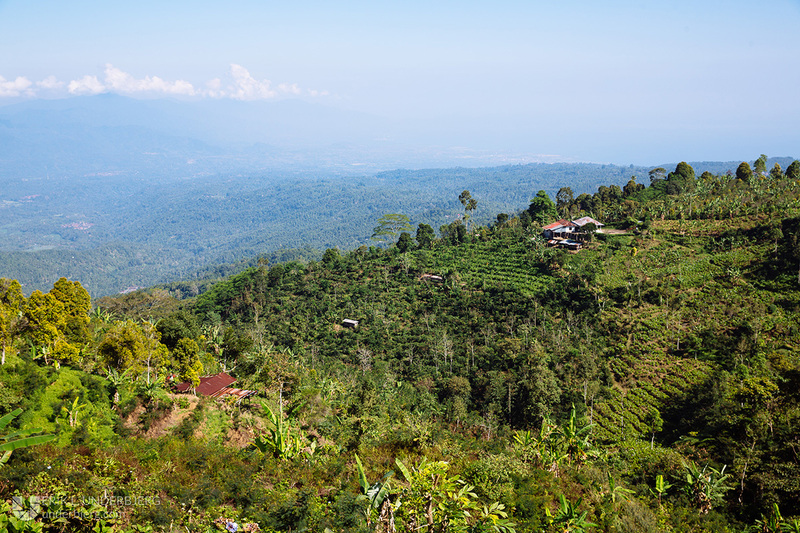 An 18-room estate, built upon a stunning five-hectare coffee plantation (the main crop grown in the Munduk area of Bali). The plantation embodies the core elements of a unique luxury location. Located at 1150m, the MMP boasts some of the most breathtaking views of Bali, overlooking the northern coast of the island, where, on a clear day it is possible to see the volcanoes of Java. 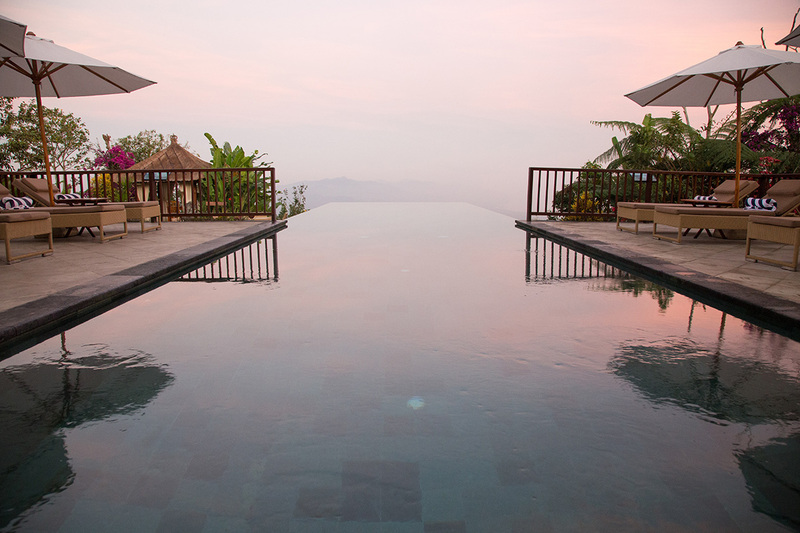 In addition to that, MMP has received numerous awards, applauding their array of infinity pools, receiving accolades such as Best Infinity Pool in the World – no mean feat. As well as environmental considerations such as on-site water filtration of restaurant and kitchen waste and the production of renewable energy for the estate and a nearly self-sufficient kitchen garden. There are also social factors, including local employment and training, supply of produce to local communities and finance support in the development of local infrastructure. However, what really made the greatest impress upon arriving at MMP was the closeness with the community and nature, which created a feeling of inclusion, not exclusion from the environment that we were in. 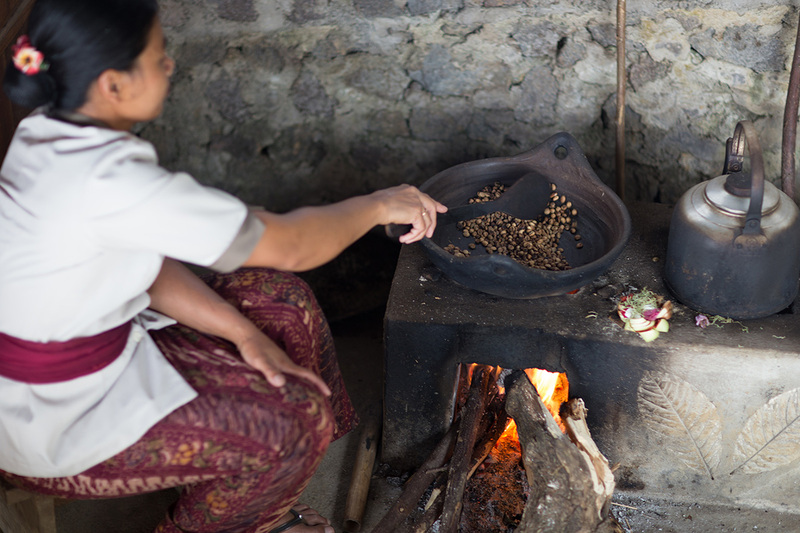 Balinese people have often commented on the differences between the mountain communities and those along the coast. The worship of different Hindu gods and the harmony of the trilogy for earth, air and water make for a calmer and more tranquil mentality. An array of smiling staff all employed from the local village greeted us with garlands of fresh marigold necklaces. We were proudly shown around the estate which can only be described as peaceful and submerged amongst the surrounding forest and clouds. Details were delicate, but not elaborate. The feeling of arriving home was overwhelming. 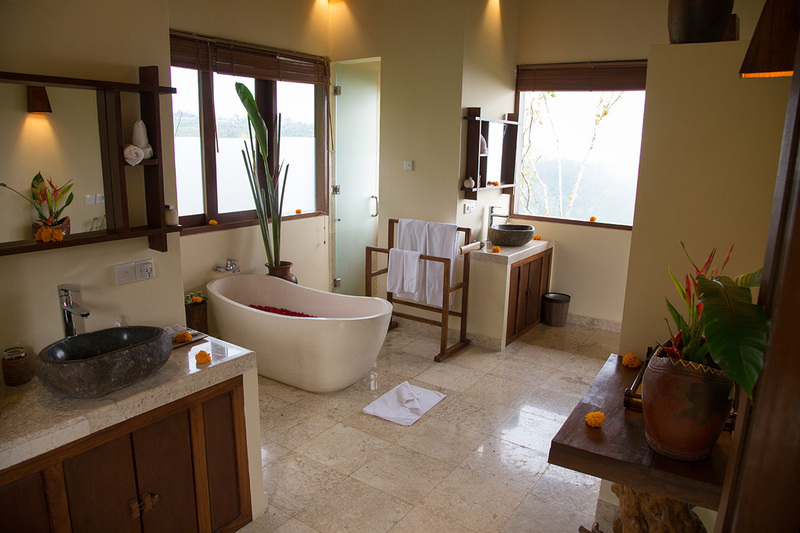 Our room, which came complete with separate lounge, infinity pool and our very own personal butler (Butler Gede) exceeded our expectations, in luxury but also our closeness with nature. However it was the attentiveness in ensuring all was well without invading privacy which was notable, and the effort we could see Butler Gede made to express himself in english, a language probably not spoken much in the nearby village, which made us grateful. We enjoyed endless talks with excited staff on the affect the hotel and plantation had had on the area of Mundak. As the only luxury boutique hotel within miles, the local communities enthusiastically shared stories of life on the plantation and the importance of the hotel to the communities morale and income. A horse-back tour of the local village and countryside, with excited staff, keen to develop their spoken english and french showed us a more realistic perspective of the charm of the Balinese culture and beauty of the local surrondings, rich in tropical vegetation and animals. At night, MMP arranged for a group of children from the village to perform a traditional Balinese dance, a weekly treat for the hotel’s guests. An important occasion for the children, as dance classes are provided by the hotel to the local communities, to preserve traditional heritage, and bring the village and hotel closer together. Our stay at the MMP was one that made us realise the importance of those who you interact with, when creating an experience that you will never forget. A further testament to their philosophy for sustainable tourism, one which not only boasts zero-carbon emissions, but one of also lasting memories and multiple returning visitors.